1. How long have you been in business? Everyone has to start sometime, it’s not a crime to be new in the business. However, you don’t want the person to be practicing on your carpet or furniture. What will compensate for being new in the business is if the individual has been certified by the Institute of Inspection, Cleaning and Restoration Certification or other similar training organization. 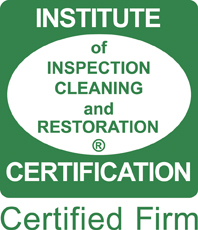 The IICRC is a highly respected, non profit organization that certifies cleaning technicians. If they say they are certified, ask them to show you their card. 2. What kind of training have you received? How many days and what subjects did you learn? 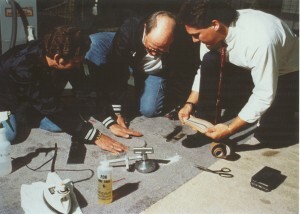 The technician training should be considerable as they will be responsible for the proper care of thousands of dollars worth of carpet. 3. Do you give free estimates? A reputable firm will be most happy to do this. They will come out to your home, measure the size of the rooms (why should you pay the same price for cleaning a small bedroom that you pay for your large living room or den?). Examine the carpet for clean-ability. Test spots for the possibility of removal, and some will even give you a free written report. They should be frank and honest when setting your expectations about how your carpet will look after it is cleaned and what stains may not respond to professional cleaning techniques. 5. How do you clean a 5th Generation Nylon? The majority of current nylon is 5th Generation or Stain Resist. This must be cleaned with cleaning compounds with a pH (a term to measure the alkalinity or acidity of a solution) of 10 or less. If your cleaning technician is not aware of this then he may not be knowledgeable enough to use the right cleaning products for your carpet. If your carpet is wool, then cleaning should be done with a solution that is a pH of 7 or should be treated with a pH balancing product to neutralize the cleaning solution (there is usually a slightly higher charge to clean wool carpets because of this extra step).